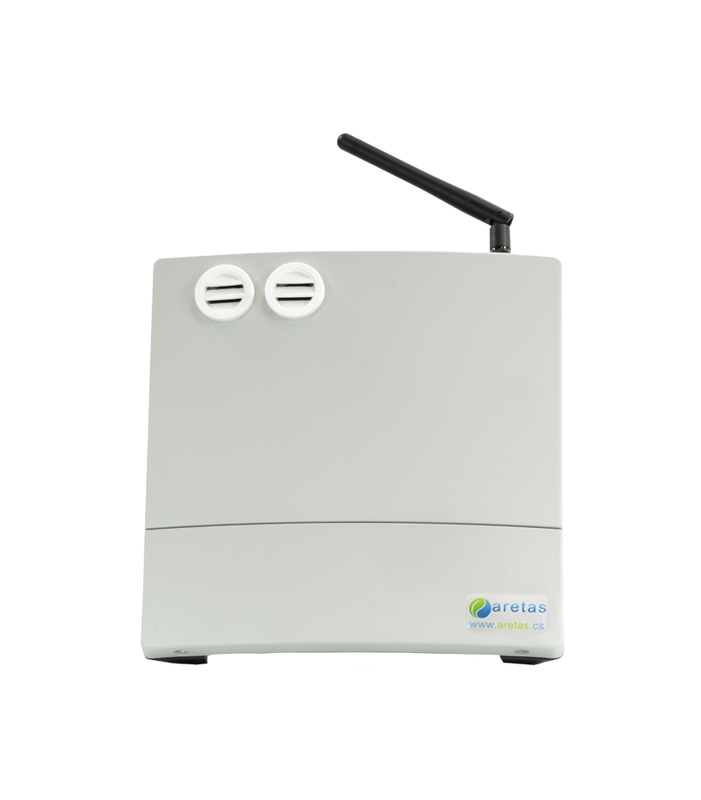 The Aretas Sensor Networks Radiation Monitor is our exciting wireless radiation threat detection sensor that plugs into the existing suite of Aretas reporting software and wireless monitors. This wireless radiation monitoring system is capable of detecting beta radiation (electrons), gamma radiation (photons) and X-rays. 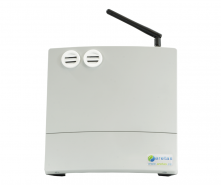 The unit is battery powered with customizable reporting intervals and low power modes that can enable long-term battery powered operation up to many months. Access your data online 24/7 and set alerts thresholds that notify you before there is an issue. Radiation sensor readings can be viewed immediately on the (optional) on-unit display, or be collected wirelessly up to 40 kms away from an irradiated hot zone and viewed through the online Reporting / Mapping and Analytics system. Multiple sensors can be viewed remotely and radioactive zones can be geographically highlighted on our heatmap view. This real-time reporting can be viewed from your PC using the Aretas mapping & reporting software giving you access to critical data to make decisions 24/7 at any of your locations world-wide. The software allows you to set alerts, strategies, thresholds, view historical data and watch numerous locations and buildings at once. Call today for a free demo of the system. All of the Aretas Sensor Networks solutions are expandable to include one or more of our core sensor technologies such as temperature, relative humidity, light, pressure and various gases (CO, CO2, NO2 and more). Aretas is an agile company that will work with you to create the specific monitoring solutions you need. Battery powered with customizable reporting intervals and low power modes that can enable long-term battery powered operation (months). Wireless communication between one or more monitors and the communication bridge or PC based data collection. Industrial level hardware is built for hostile environments / hot zones. 24/7 remote monitoring and threshold based alerting. With the optional Internet based communication bridge you can access date online world-wide. Data can be exported to GIS or other custom mapping systems. Data can also be exported from our large-scale data warehouse via API and analyzed by other programs.